The Global Peace Initiative is a project of the Brahmananda Saraswati Foundation (USA) and Brahmananda Saraswati Trust in Holland and is a non-religious charitable organization. The Global Peace Initiative involves establishing and permanently maintaining a group of 9,000 experts who practice together the advanced meditation techniques of Transcendental Meditation and TM-Sidhis. Scientific research has found that this group meditation practice creates a measurable influence of peace in society. The meditation practices that form this ‘technology of peace’ have their origin in the Vedic tradition of India, the world’s oldest tradition of knowledge. They were revived in this modern era by Maharishi Mahesh Yogi, widely regarded as the foremost Vedic scholar and scientist of consciousness of our time. The group of 9,000 peace experts is being made up of the traditional custodians of Vedic knowledge in India—Vedic Pandits whose ancient profession was to maintain harmony in society through this technology of peace. “This work… deserves the most serious consideration. Don is a Director on the Canadian board of the Brahmananda Saraswati Foundation, an organization dedicated to the promotion of Vedic technologies of consciousness for creating world peace. These Vedic technologies include Transcendental Meditation and its advanced techniques. Don talks about the Global Peace Initiative in this video. Global Peace Initiative is assembling a group of 9,000 experts in India to create world peace. These experts use a technique that improves the quality of collective consciousness and has been scientifically shown to reduce terrorism and war. The Global Peace Initiative Our organization was founded by Maharishi Mahesh Yogi—the founder of the Transcendental Meditation program and the principal architect of the Global Peace Initiative. The organization is named in honor of Maharishi’s teacher, Brahmananda Saraswati, one of the world’s most highly revered spiritual leaders, who served as Shankaracharya of Jyotir Math, India—the chief representative of the Vedic tradition of knowledge. An Indian Pandit is a man who has been trained since childhood to meditate and live a traditional Vedic lifestyle. 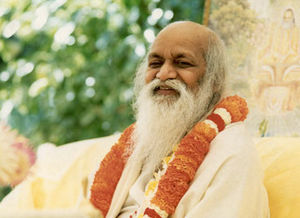 The Vedic Pandits participating in the Global Peace Initiative have learned the Transcendental Meditation technique and its advanced programs. They live in large groups and meditate for many hours each day. The Global Peace Initiative has the goal of supporting 9,000 peace experts. Research shows a group this size should be sufficient to create peace world-wide. Find out more about the Global Peace Initiative on Facebook and Twitter.